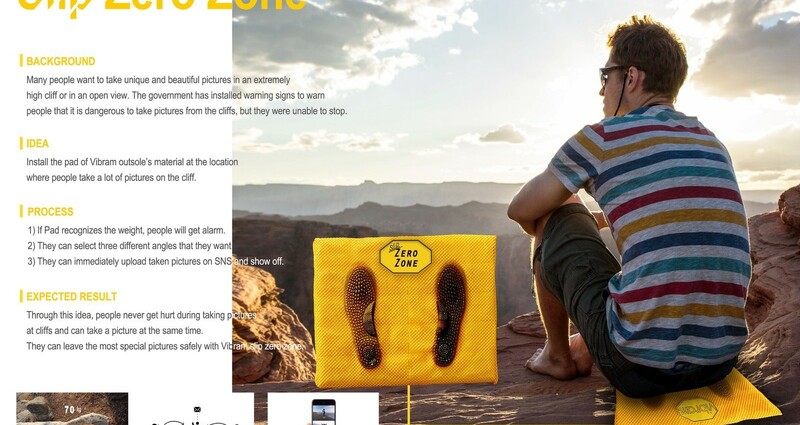 Install the pad of Vibram outsole’s material at the location where people take a lot of pictures on the cliff. Through this idea, people never get hurt during taking pictures at cliffs and can take a picture at the same time. They can leave the most special pictures safely with Vibram slip zero zone. The soles of vibram are heavily traction and do not slip on the slopes. Install a footpad made of non-floating soles of vibram. You can take pictures from three angles by climbing over the pad of your feet.